Ryan Thompson of Sustnrs, creators of online guides and resources, recently interviewed Executive Director Joey Feinstein about what keeps him inspired on a day-to-day basis. How do you overcome the challenges of maintaining your resolve? Probably not the most sophisticated thing in the world, but just put one foot in front of the other! There’s the saying that 80% of the work gets done in 20% of the time – those periods when you’re very efficient. I do subscribe to that belief but I also think that the most important period of time is that 80% when 20% of the work is getting done. Because that’s when you’ve really got to persevere, keep going. I don’t know that I have any magic answer, other than to keep going. And at the same time not be too attached to any particular idea or way of doing things. If something’s not working, at a certain point you’ve got to acknowledge that too. There have certainly been instances of that, and you figure it out. Just try to have the wherewithal, to whatever extent you can, to step outside of yourself and your own attachments to how things should look. Be open to what other stakeholders think and see. 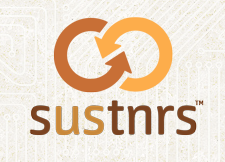 Check out the Sustnrs website, and read the entire interview here.